AVACO, a company that specializes in producing key elements in FDP (Flat Panel Display), expands its scope towards thin-film solar cell production. With the accumulated knowledge and developments in the vacuum thin-film deposition technology and systematic engineering, AVACO prepares to surge in the field of solar cells. AVACO’s Managing Director, Kwang H. Kim, discusses this year’s business strategies and expectations. 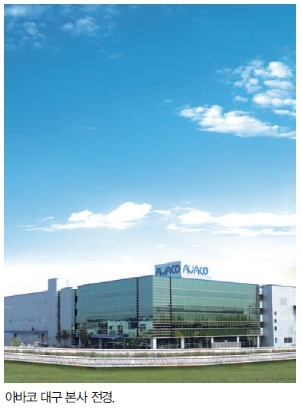 AVACO has been growing as a manufacturer in the FPD industry. 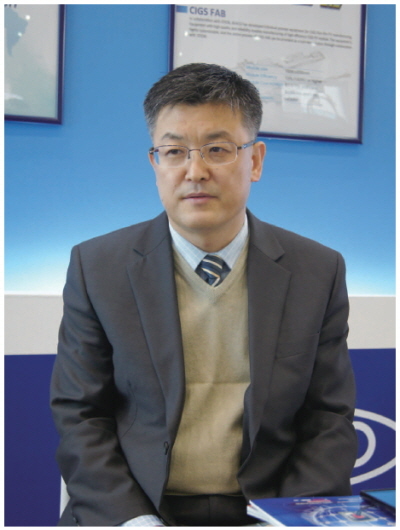 “The continuous research and development and technology innovations strengthened AVACO in the industry,” said Mr. Kim. One area of growth was in the OLED display. OLED received much attention in recent years as the next breakthrough in display technology. In response to the growing demands of OLED, AVACO successfully developed and supplied manufacturing equipment for OLED displays. Approaching the realm of renewable energy specifically in thin-film PV, AVACO takes advantage of the vacuum deposition technology that was applied throughout the flat panel display production. According to Mr. Kim, the accumulated knowledge in the vacuum thin-film deposition technology gave a strong basis to capture emerging markets with high growth potentials such as the CIGS thin-film solar cells and flexible display. One of AVACO’s premium products is the sputtering system, which has been developed and continuously innovated since 2004. AVACO’s sputtering technology is highly recognized as an outstanding technology for its superior performance not only in the flat panel display but also in solar technology and thin-film coating. The sputtering equipment is used in the process of making thin-film solar cells where different materials are coated to form various layers such as metal electrode, precursor, and transparent conductive oxide layer. Sputtering is a physical vapor deposition method, which involves plasma bombardment. It is commonly used in ITO and metal electrode coating for TFT arrays, as well as black matrix composition for color filters in FPD manufacturing. As a method of thin-film deposition in solar cells, sputtering system deposits metals or metallic-oxides on a substrate in a vacuum chamber. AVACO’s sputtering system can operate as either Vertical in-line (SSI) or Horizontal Cluster (SSC). SSI series is designed to minimize particle generation through non-contact transferring technology, while maximizing target utilization rate using magnetic cathode. The size of the substrate measures up to the 8th generation (2200mm x 2500mm) with up to 60 seconds tact time. Average heating temperature of a substrate is approximately 250℃. In case of the SSC series, the tact time can take up to 80 seconds, and average heating temperature is approximately 150℃ with ±7.5℃ temperature uniformity. Through optimized chamber design, AVACO developed a light weight sputtering system that is compact in size yet with high operating performance. AVACO also attained manufacturing technologies on annealing furnace and buffer layer tool through research and development. Furthermore, AVACO’s PV product portfolio includes Edge Deletion, Bus Bar Attach, EVA Placement, J-Box Attach, and Framing tool. AVACO completed the mass production validation on these products. Kim claimed that the cutting edge technology in vacuum deposition and proven mass production capability make AVACO’s manufacturing machines nonpareil to its competitors. To ensure top quality control, AVACO instills rigorous process of systematic inspections, while skilled technicians examine and eliminate deviations. 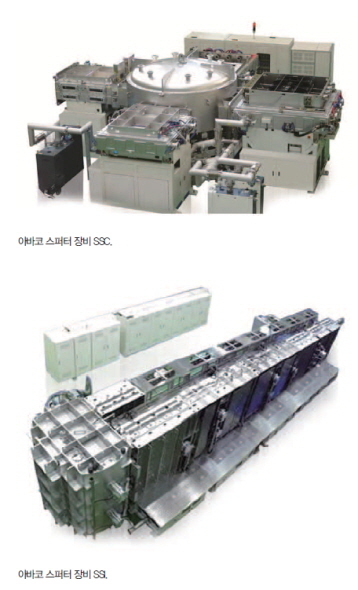 The high reputation on the sputtering and manufacturing equipment placed AVACO in the World Class 300 Company awarded by the Korean Ministry of Knowledge Economy (MKE). The assets on the sputtering system, back end operation tools, and automation equipment enabled AVACO to expand into the thin-film solar cell industry. Mr. Kim anticipates an optimistic year on the solar cell market. Based on various research publications, he believes that the supply and demand for the solar cell will be stabilized with a predicted annual growth rate of 12 to 16% in the coming year. Carrying the momentum of past achievements, AVACO actively pursues the solar cell market. Partnering up with CIGS thin-film solar cell manufacturers in U.S., AVACO expects to utilize all of its accumulated technologies to compete and further innovate in the PV market.